He was running away from the chubby rabbit because when he was three on Christmas his mum got him a rabbit, and the rabbit pulled on his hair. Sam was terrified of all chubby rabbits. Sam dived for cover as the tiny pigeon chased the rabbit away. 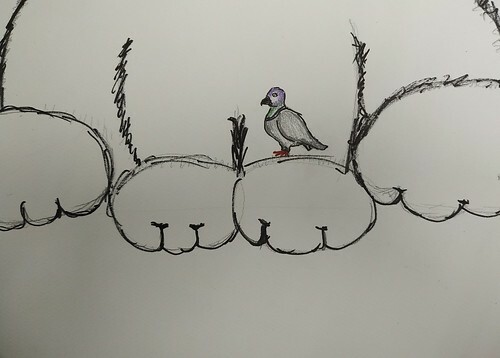 The pigeon, now known as Frank, barked and squaked at the rabbit as it ran away. It returned to Sam, waddling. Sam knew that him and Frank were going to be best friends. But little did they know, it wasn't the end of the rivalry between the big chubby rabbit and the pigeon. Today was Sam's eleventh birthday. He had been friends with Frank for almost three years. As he blew out his birthday candles, he wished that he could be on the Cork team. The next morning he woke up early, as he had his first training for Cork trials. 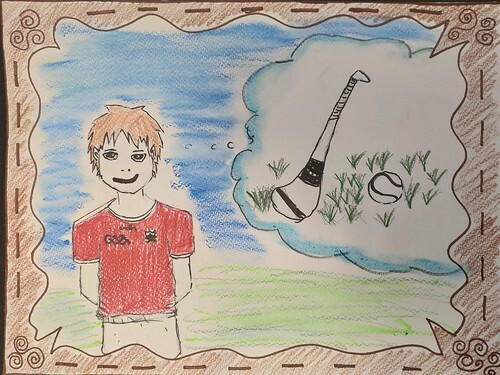 Then suddenly his parents had received a message from his hurling trainer saying he needed him at the hurling pitch immediately. As he arrived, there standing was the big chubby rabbit as the mascot. He was light grey with a white belly. At the training pitch there were six other boys that he knew, and suddenly one of them started laughing because the rabbit was nibbling on a stud on his shoe. Suddenly Sam saw the rabbit and hid behind his trainer. 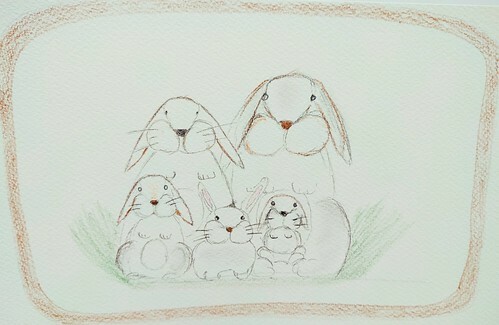 Then out of nowhere the big rabbit's mum came out standing on her two front feet, telling the big rabbit to behave. The reason they had been called early was because their trainer was retiring and the big chubby rabbit was going to become their new trainer.